I came across this at The Martha Stewart Blog. 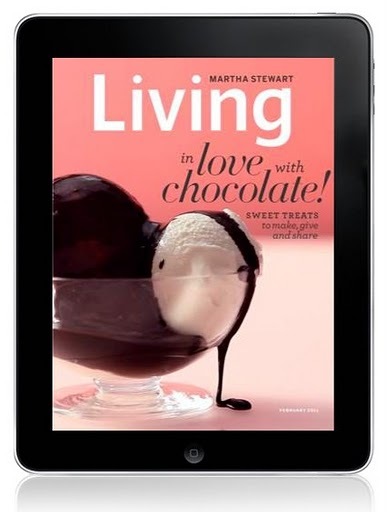 I am a big fan of Martha Stewart. Her guest room at Skylands is beautiful. Pink for her guest bedroom. Take a look at her bedding on this gorgeous bed. Love the hand- embroidered pillowcases. Thank you Martha Stewart for sharing this spectacular room with us. Celebrating her magazine by going digital. But, I have to tell you the magazine looks magnificent on the IPAD. The cabinets in the kitchen are Benjamin Moore Satin Oil paint in the collection line...the walls are Frostine, Benjamin Moore and I tried the Natura and loved it for it has NO SMELL. The wall above the windows are a mistint but originally was Palladian Blue...the computer or the paint dispenser did not add enough white to it so it is actually darker than the Palladian Blue is supposed to be. All Benny Moore paint. That palladian blue covered over a red in two coats.. it was Aura. The cabinet by the fridge is Advance plain out of the can white. Oh the paint colour on that chair?? ?I have no recollection as I painted it that colour... about 6 yrs ago...but, it may have been a Martha Stewart colour, or Debbie Travis paint colour, I actually think it is the Debbie Travis, if that helps at all. I have loved that colour for years!!!!! I was always the oddball for painting my stuff that colour and now I see it all over the place...my dining room has been that colour for almost 2.5 years now..I LOVE THAT COLOUR! Long time fan of Martha as well. 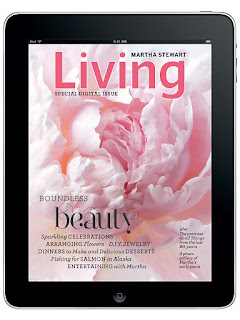 Her iPad edition is amazing, but I hope actual magazines will be here to stay for a long time! ~~ Love your beautiful kitchen too! I love that pink bedding! After my divorce I wanted to redo my bedroom in soft, feminine, shabby chic bedding - lots of PINK!!! But a (rich) friend gave me some new bedding as a gift that cost over $1800 so THAT is what I have! It is very pretty, but it is gold toile and a little formal for me, so one of these days .... I will change it to PINK! I love me some Martha S. too. Her taste is impecable and in a league of it's own. If I had a little girl I would love her room to have this gorgeous shade of pink, just a little more sophisticated. There really is no style like Martha's style is there?